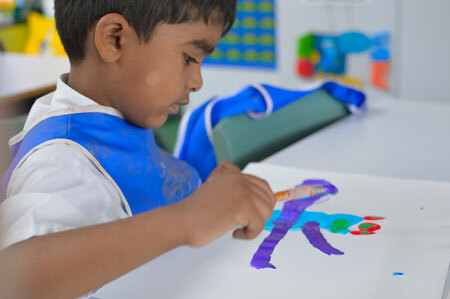 At St. Peter’s Catholic Primary School, we believe that the School Curriculum should be broad and balanced, offering children the opportunity to achieve success in many different areas. During the last year, we have worked hard to provide a creative curriculum which is based around our school specific learning opportunities in line with the new National Curriculum. As part of this development we are implementing the new Cornerstones Curriculum. Cornerstones is nationally recognised as an approach which helps schools to deliver outstanding learning opportunities for children from Foundation Stage to Year 6. ENGAGE: first hand, memorable learning experiences where children have the chance to investigate and explore using all their senses. INNOVATE: apply skills, knowledge and understanding to a creative and inspirational challenge. We believe children learn better when they are encouraged to use their imagination and apply their learning to engaging contexts. Our new curriculum will provide lots of learning challenges throughout the academic year that will require children to solve problems, apply themselves creatively and express their knowledge and understanding effectively across the curriculum. Cornerstones also provide a rigorous essential skills framework that outlines the end of year expectations in all subjects. These essential skills are tied to activities and are age related so that staff can track children’s progress and identify their individual learning needs. In order to bring learning to life, a variety of visits to places of interest (often linked to learning projects) are planned throughout the school year. In order to cover the entrance fees and coach costs, voluntary contributions are requested from parents/carers.